When a friend, an avid meat-eater with whom you've shared a nearly religious experience over smoked brisket, insists that the tempeh at Confluence Kombucha is life-changing, you listen. 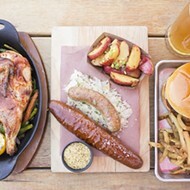 You may listen with a raised eyebrow at the thought of a fermented soybean cake inspiring the sort of primal reverie normally derived from a hunk of fatty beef fresh from the smoker, but still, you take it seriously. 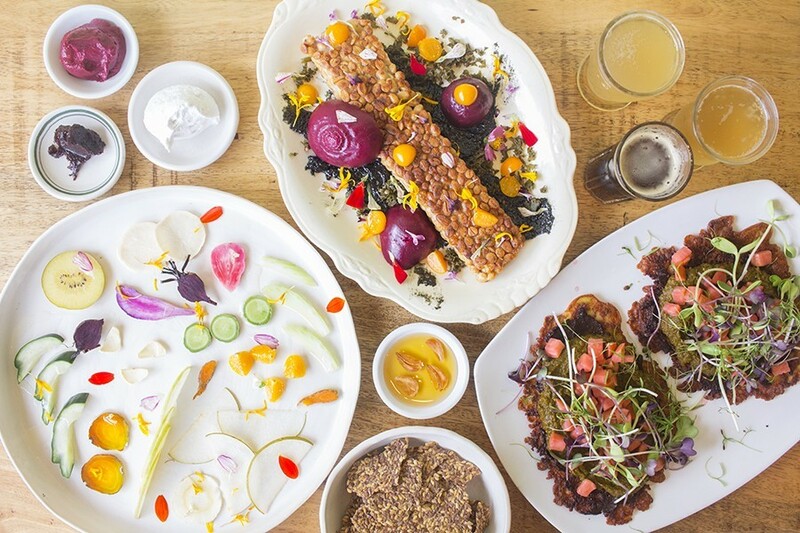 My friend's enthusiasm was vindicated the moment chef William Pauley delivered the tempeh to the table, erasing any doubts that a slice of fermented soybean cake can be worthy of such high praise. Unlike the firm, dried-out versions that have become a sad staple of vegetarian cuisine, Pauley's tempeh looks more like a PayDay bar that is held together by marshmallow fluff. 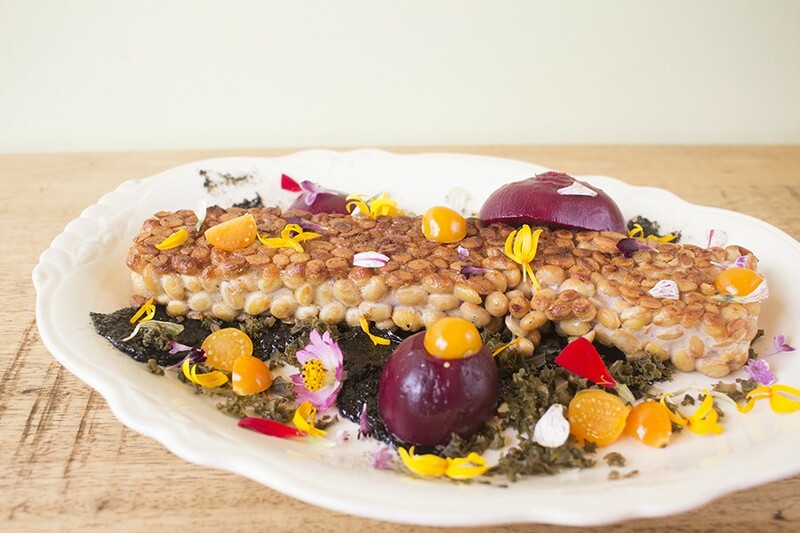 Pearl-sized beans are suspended in a web of white mycelium (fungus) threads, then sliced into two rectangles and plated with pickled beets, fermented kale, microgreens, black garlic paste and honey. There's funk, tang, sweet, popping crunch, chew — a complex symphony of flavor, texture and color that are so unlike anything you've previously experienced, they fill the mind as fully as the stomach. This is not just tempeh; it's a window into the future of food. As shocking as it is — at least to this omnivore — that tempeh can be genuinely mouthwatering, it might be more surprising to learn that such cutting-edge, experimental cuisine is being served out of a kombucha tasting bar. The fermented beverage is more frequently associated with the sort of "crunchy" gathering spot you go to after a kundalini yoga class. Chef-owner William Pauley examines on order. And in some ways, that picture does capture Confluence Kombucha. 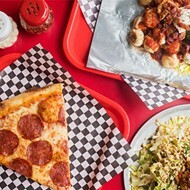 The small spot sits on the western edge of the Grove, a plant-based serenade in a neighborhood known for its pulsing beat. 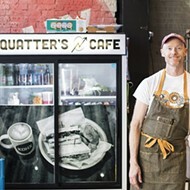 Inside, just four tables line the wall of windows that faces Manchester; barely two feet separate the seating area from the counter that only partially conceals the prep area and kombucha taps. Green plants, dried flowers and a shelf that holds empty kombucha bottles from a variety of brands decorate the room. 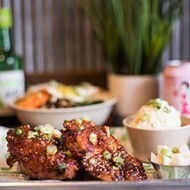 If there's music, it isn't audible over the sound of sizzling that comes from the table-top griddle behind the counter. From that griddle — a piece of equipment neither larger nor more sophisticated than what you get at Bed Bath & Beyond — Pauley prepares mostly, though not exclusively, plant-based concoctions that dazzle in their sophistication. You'd think such cooking should come from someone who went to culinary school, but Pauley's education comes entirely from outside the classroom. Guests can personalize flights of kombucha. About eight years ago, Pauley got into brewing kombucha. 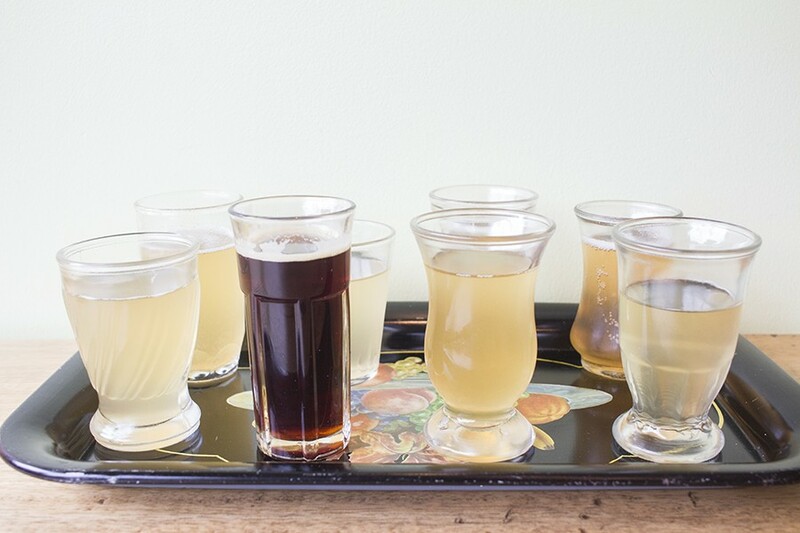 The fermented tea beverage is wildly popular in naturopathic circles for its purported health benefits; in Pauley's case, he used it as a way to treat a bleeding ulcer. 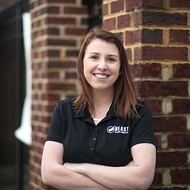 Around the same time, in need of a job following graduate school, Pauley found himself in the restaurant business. He began as a dishwasher at Mangia Italiano, worked his way up to prep cook and then lucked into a job at Blood and Sand, where working under then-executive chef Chris Bork inspired him to begin thinking about food in new ways. Under Bork, Pauley began experimenting in the kitchen even as he continued to make kombucha on the side. As he became more confident in is cooking, he began to explore the culinary possibilities of fermentation. He eventually parted ways with Blood and Sand to focus on brewing in the hope that he would turn his passion into a business. He started slowly, doing private dinners and pop-ups and selling his wares at local farmers' markets and yoga studios. 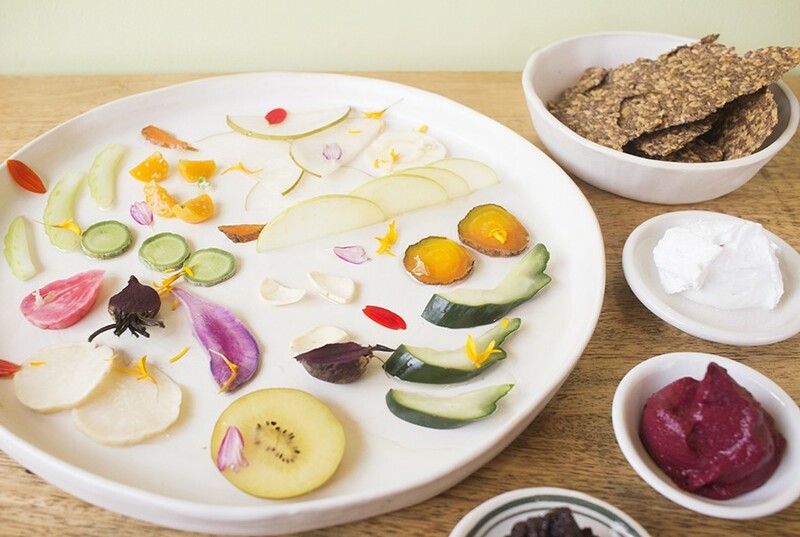 Nukazuke is a traditional rice-bran pickle served with beet mousse, coconut yogurt, pear butter and flax-seed chips. About two years ago, Pauley was introduced to his now-business partner, Julie Villarini, who was looking to invest in a local business. With her help, he was able to take his vision for Confluence Kombucha — a tasting room and experimental food concept referred to as the GastroLAB — to the next level. The two eventually opened their storefront last summer with the help of Pauley's former Blood and Sand co-worker, chef Christopher Krzysik. 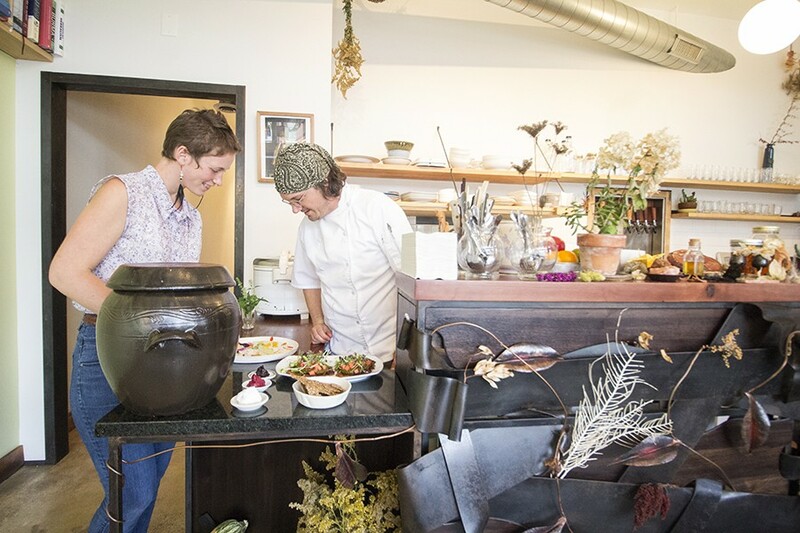 Together, they developed a mostly plant-based menu similar to the one at Blood and Sand in its ambition — one that represents one of the most inspired restaurants to open in recent memory. The commitment to vegetable-forward cuisine does not limit what is offered at Confluence; instead, it inspires Pauley to innovate. A simple platter of tomatoes is anything but; the peak-of-the-season beauties are rolled in sherry crumbles and artfully plated with smudges of black garlic paste, baby arugula, fennel pollen and soft ripened cheese. Rustic bread the flavor of nutty rye is dehydrated and serves as a substitute for croutons. A handful of edible flowers are scattered across the plate. 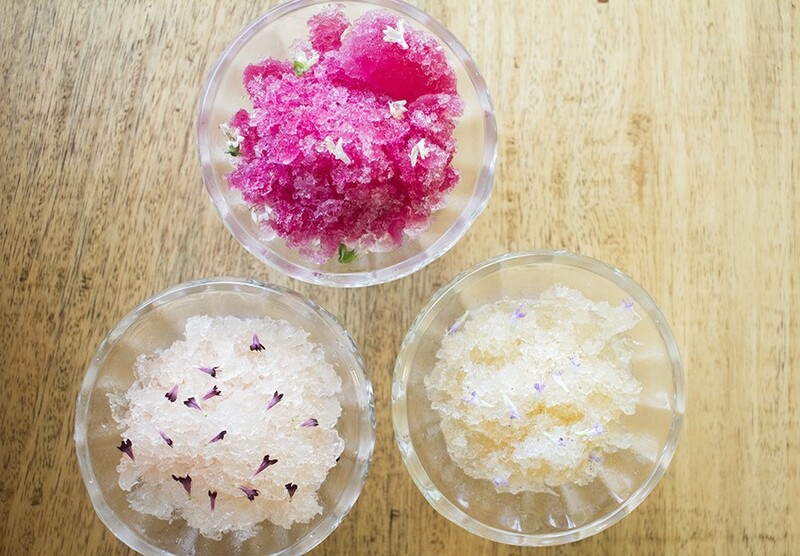 Shaved ice options include citra hips with sake and blue licorice flowers; clary sage with pinot grigio and pincushion flowers; and blackberry, huckleberry and sage with cream sherry and basil flowers. Confluence's two vastly different soups show the breadth of Pauley's skill. Gooseberries enliven an already bright tomatillo and cucumber gazpacho for a flavor that is as refreshing as a glass of lemonade in the Sahara. His Thai green curry soup, on the other hand, has the fire of that desert's sand. Searing hot green curry is softened by coconut milk; fermented kale and red dulse (a type of algae) bob in the spicy broth with a brown sticky rice cake. It's a marvelous burn. Confluence serves traditional Japanese nukazuke, a selection of fruits and vegetables that have been fermented in rice bran. The rice bran imparts a tang that's more subtle than vinegar-based pickling, also lending a very slight nuttiness to cucumbers, apples, pears, squashes and radishes. The technique preserves the fruits and vegetables' crunch and vibrant colors, resulting in a platter of technicolor pickles that looks as if it was staged for a magazine shoot. Tempeh comes with pickled beets, honey, black tahini, fermented kale and golden berry. In place of traditional soy-based tofu, Pauley makes his shana tofu from turmeric-laced chickpea flour, resulting in a spongy, light-as-air delicacy. Though the tofu itself was bland, it absorbed the salty punch from an accompanying satay sauce. Wakame (green algae), pickled watermelon radishes and sliced almonds added tang and texture to the dish. Confluence's lone meat offering on the current menu is a golden trout that has been smoked with chaga mushrooms. Niter kibbeh, an Ethiopian seasoned clarified butter, coats the fish with just a suggestion of its presence while crispy trout skin, pickled squash and mustard greens round out the plate. 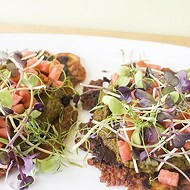 Celery pancakes are made with chickpea and topped with fermented radish, collard saag, ancho chile and garlic honey. As revelatory as the tempeh may be, the dish that captured my heart is the celery pancake. 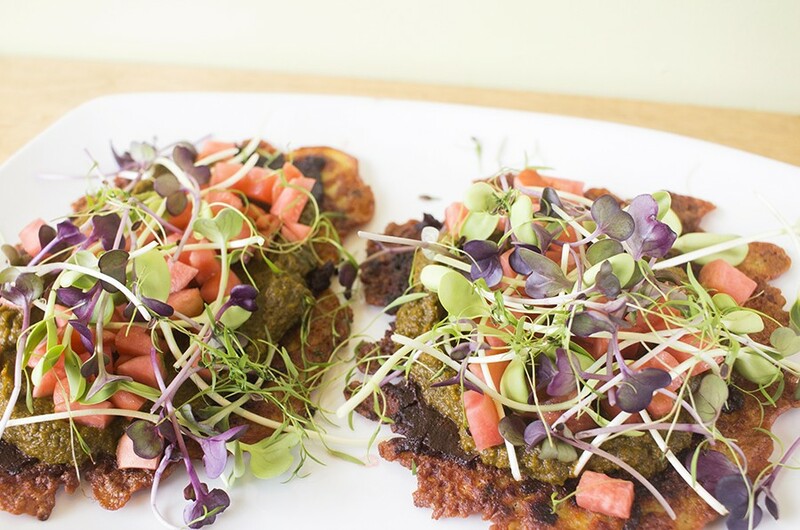 Two flat fritters made from celery and chickpea flour are fried on the griddle, then topped with Indian spiced saag (spinach), fermented radishes and ancho chiles. Pauley serves them with a side of garlic-infused honey that is meant to be drizzled over the top; I ate the whole cloves with a spoon while reveling in what is basically the Indian version of a slinger. It's as outstanding as it sounds. As difficult as it would be to leave Confluence without that celery pancake, many patrons come exclusively for the kombucha. As a neophyte I did not understand the allure until I tried Pauley's creations. They feature everything from local Missouri paw paw to Asian pear to my personal preference, a blend of elderberry and sarsaparilla that finishes with a hint of vanilla. That same elderberry is paired with blackberry juice and served over shaved ice for what's quite possibly the most hippie snow cone on the face of the earth. 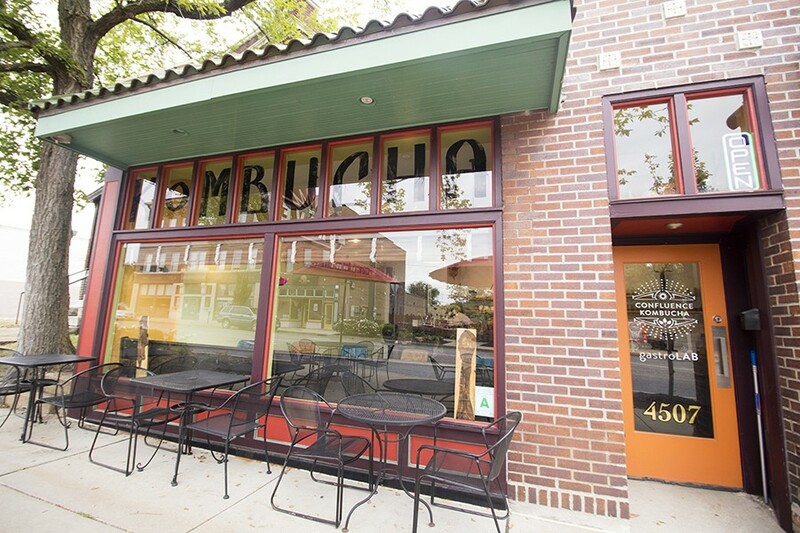 Confluence Kombucha is located in the Grove. You don't have to be a hippie to enjoy that refreshing dessert. You don't have to be a vegetarian to fall in love with Pauley's food either — or even drink kombucha to thoroughly enjoy your experience. Hell, you don't even have to like tempeh to be lured into Confluence Kombucha. But chances are, once you get there, Pauley will change — nay, blow — your mind.